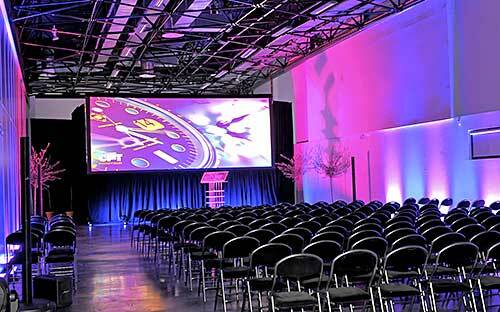 Because of its modular nature, the Congress and Exhibition Centre can provide you with up to 12 break-out rooms. Situated on the ground floor, the ‘Azur’ Function Room, with a floor area of 130 m², can be used as just one big room or divided into two or three break-out rooms. Each of these rooms can be arranged how you wish – in a theatre, school or U-shaped layout. The capacity of the room will depend on the layout. 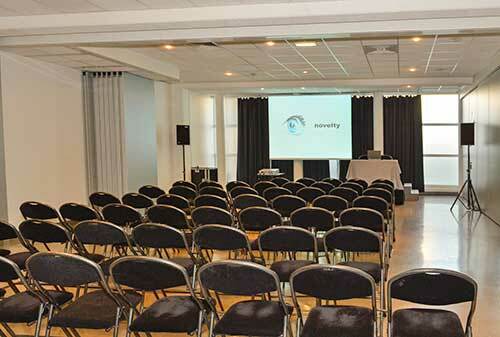 Its sliding partitions are sound-proof and therefore three meetings can be held simultaneously. 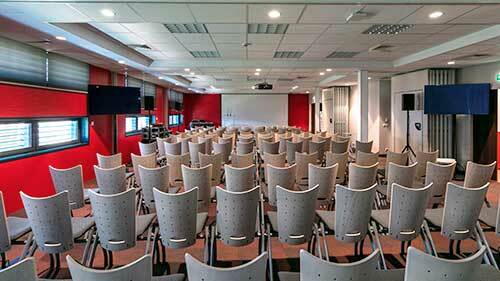 Its sliding partitions are sound-proof and therefore four meetings can be held simultaneously. A digital display screen in front of each room will be available for you to provide your participants with the information you wish to communicate. Situated on the 1st floor (accessible by lift), the Board Room, with a floor area of 50 m², is arranged in a U-shape for 23 people. This room is fully equipped. Situated on the ground floor, the ‘Siagne’ function space, with a floor area of 1700 m², can be used as just one big room or divided into two, three or four break-out rooms. Each of these rooms can be arranged how you wish – in a theatre, school or U-shaped layout. The capacity of the room will depend on the layout. Each of these rooms can be arranged how you wish – in a theatre, school or U-shaped layout. The capacity of the room will depend on the layout. Its sliding partitions are sound-proof and therefore three meetings can be held simultaneously. can be used as just one big room or divided into two, three or four break-out rooms.